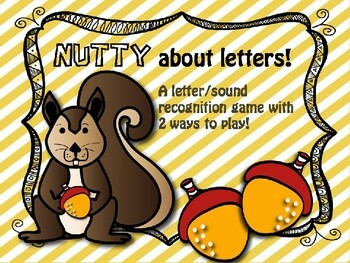 "Nutty about letters" game. 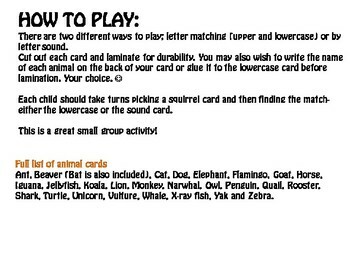 Comes with 78 cards and directions. 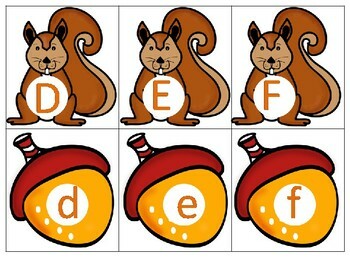 2 ways to play- matching upper and lower case letters OR matching letters to their sounds.